Hannah's life feels like an epilogue. And so begins The Daylight Marriage. 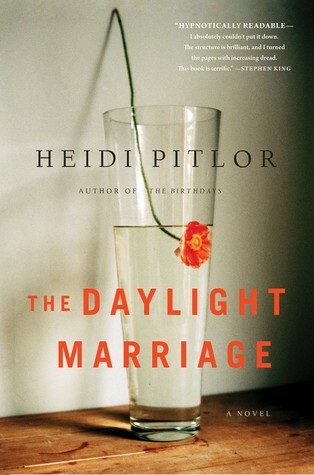 Hannah and her husband Lovell begin the novel with an argument that seemingly starts out of nowhere. Rage flies. Tempers flare. Voices rise. By the second chapter, the wife goes missing. The rest of the book is flashbacks of the marriage. Sound familiar? Sound like Gone Girl? Or Where'd You Go, Bernadette? On the surface, yes. But this novel does not have that UMPH. It started slow; it ended slower. Hardly no suspense. No incentive grabbing me to keep reading and figure out where Hannah went or why. And the marriage memories were just plain boring. Even though this novel is only 176 ePages, I recommend your time be spent reading something else.